I saw a Top Ten Tuesday idea in which we were supposed to write about words in the blurb of a book that would entice us all to pick up that book to read. I thought it was an interesting idea and I could see myself writing a list that included maybe 'road trips' and 'Japan' or possibly 'boarding school' but I couldn't see how to make that topic work for me beyond that. ...That is until now. I've been thinking a lot about this recently and there are definitely themes and topics that I'm drawn to again and again when I'm reading. Some that are more obvious than others and some I've only recently realised the importance of when I'm reading. Based on the following list, it really does seem that I read in order to fill those holes in my heart that I didn't realise were there. I'd love to know what topics or themes or words appeal to you when it comes to choosing which YA books you pick up to read. The biggest thing that appeals to me about reading stories is this feeling of belonging. It's the biggest thing that I'm missing in my own life so I always like reading about it. Not just friendships (which will appear later on this list) but the relationships that I like the most in stories are the ones where the relationships have no obligation or previous requirement for them to be strong or reliable. The relationships I love the most, the ones that make me cry and feel very emotionally connected to, are where a character finds a place to belong in a family that they aren't born into. I love it when there's a great relationship with a step-parent or a foster parent. Or other unconventional parent figures. 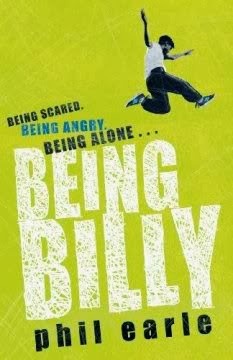 One of my favourites of all-time is the relationship with Billy, a teenager living in a care home and his relationship with Ronnie, one of his caregivers which appears in Being Billy by Phil Earle. Something about taking in a child that isn't biologically yours and caring for them like they are is something that I can't resist in any format. The family dynamic of The Bone Dragon by Alexia Casale in particular this year had me crying my eyes out. 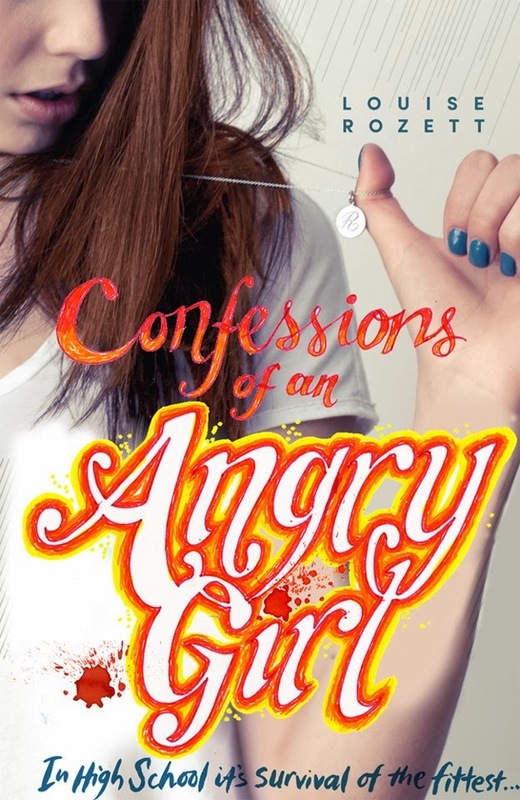 Keep an eye out soon for an entire blog post soon on angry characters! Something I've learned about myself lately is that for a very long time I've held in all of my angry feelings. Every annoyance, every bit of rage against unfairness or whatever I've kept inside me. It's almost like I feel like I don't have 'the right' to express annoyance or anger. I don't know how that happened and I don't know how to go about relearning things in a different, healthier way so that I don't continue to bottle my anger up. But until I do know where to go from here, the best I can do is live vicariously through the expression of anger via angry characters in books. I'm drawn to angry music and especially to angry characters in books and TV and film. Through them, I then look back at my life and I think how very different I would be if only I hadn't denied how angry I really am inside. I envy angry characters for that freedom to express strong emotion. I wish I could do it. Particular favourites (again) Being Billy by Phil Earle and Confessions of an Angry Girl by Louise Rozett. There is nothing I love more than a really strong friendship group. And this goes for any storyline whether it is a book, a film or a television programme. I love the stories in which these friends are there for each other much like a family unit. I crave that so much. This of course goes back to finding a place to belong and wanting to be accepted. I can't quite think of a good example of this more recently than Harry Potter. But it's still a pretty good one. You know all those brooding, bad boy types that are rife in YA? Yeah, for the most part, you can keep them. I much prefer a funny boy. It's no mistake that I'm in a long-term relationship with a man who has made me laugh daily for the past 13 years. I need humour in my life, I'm drawn to it. I realise that I can be pretty intense and focus very much on darker or negative things. And I need funny and humorous people and stories around me to balance that side of me out. Simon from The Mortal Instruments makes me laugh. Dave the Laugh from the Georgia Nicolson books is obviously a laugh. 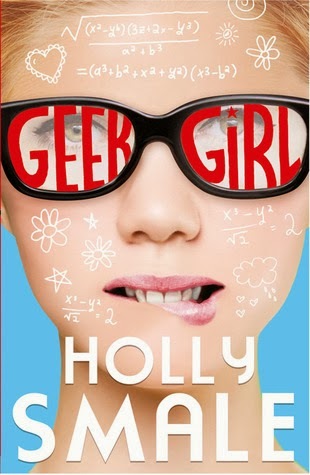 Harriet Manners from Geek Girl is hilarious and I have a massive crush on her! I may have mentioned this before? I quite like Psychology? Enough to be studying for a university degree in Psychology at the moment? I love it. I'm quite the psychology nerd and it really makes me happy to see psychology play a huge part in YA fiction. I especially enjoy psychological thrillers but also many contemporary YA authors write very well about things such as identity that I always find fascinating. I also find memory and language really interesting. 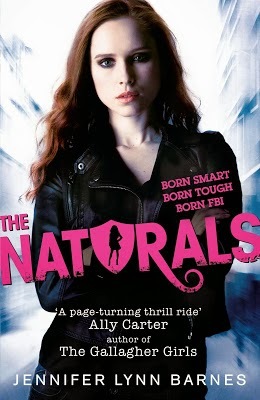 My favourite recent YA book that covered psychology has been The Naturals by Jennifer Lynn Barnes about a group of gifted teenagers who use their skills towards solving crime. And more specifically within the subject of psychology, I really love books that explore some aspect of mental health issues. Personally, I've dealt with depression and anxiety since I was an early teen and I've always felt like mental health issues such as these were quite taboo to speak about or discuss. It made me feel guilty and ashamed and I have no reason to feel either about my depression or anxiety. I much prefer the approach of some authors who tackle these things head-on with compassion and understanding. 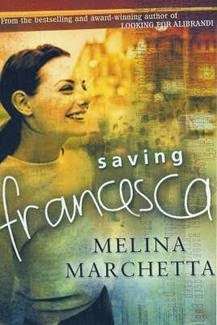 My favourite book dealing with depression is definitely Saving Francesca by Melina Marchetta. One of my strongest memories of my childhood is being in the backseat of the car, on a road trip. My dad was two things as I was growing up: 1) restless and 2) afraid to fly. This meant that we drove everywhere. The longest trip we went on spanned between Alaska and Venezuela. While I don't remember that specific trip very well, I am still very much attracted to stories that expose me to other places. 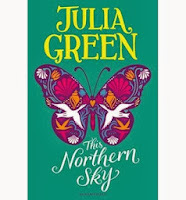 I love books that involve road trips the most because of my own nostalgic memories and because of how much fun they are, but I also really love books that take me to new places like This Northern Sky by Julia Green in which a girl spends the summer on the Outer Hebrides. 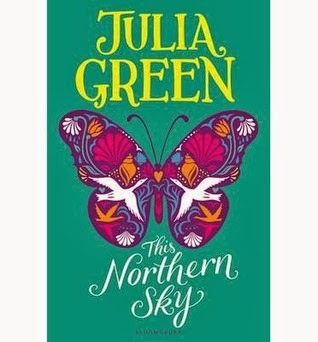 I'd never come across this as a setting before and after reading this (beautiful) book, I really wanted to visit to see if it compared to my mental picture of it. There are certain authors who I am in awe of. Somehow they are able to fill every page of their stories with emotion and make me as the reader feel very strongly about what's going on. I read these author's books and I just know that I'm going to fall in love and have my heart broken or feel very complicated emotions all at once and not know what to do with it all. I have a lengthy list of such authors and will be bringing you that blog post soon. One such author is Cat Clarke. 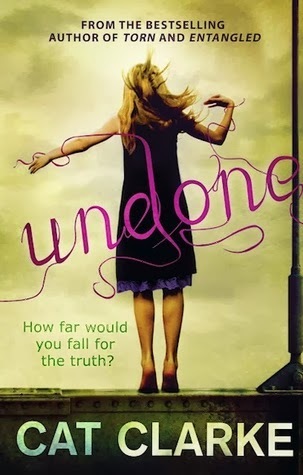 Especially Undone which had me bawling uncontrollably. And finally, we have my last favourite topic in YA - sports. I love reading a good book about sports. I played quite a few sports growing up and partially the attraction to sports within YA that I like so much is that if it's a team sport you usually get this great relationships amongst teammates and again that is another way of belonging. But aside from that, I always really love the dedication and skill involved in playing sports. I admire that. So that's it for me. What topics are you most drawn to? I'd love to hear about it in comments! Ooh, very interesting post Clover, I like it! I agree with you on friendships and very love interests, and although I am not drawn to them like you are, I do enjoy books with an psychological twist. Thanks, Anya :) I found it really interesting to discover certain things about my reading habits! A fascinating insight. Thanks for sharing.